Update on Kaley - No More Bag ! - Who Said Nothing in Life is Free? 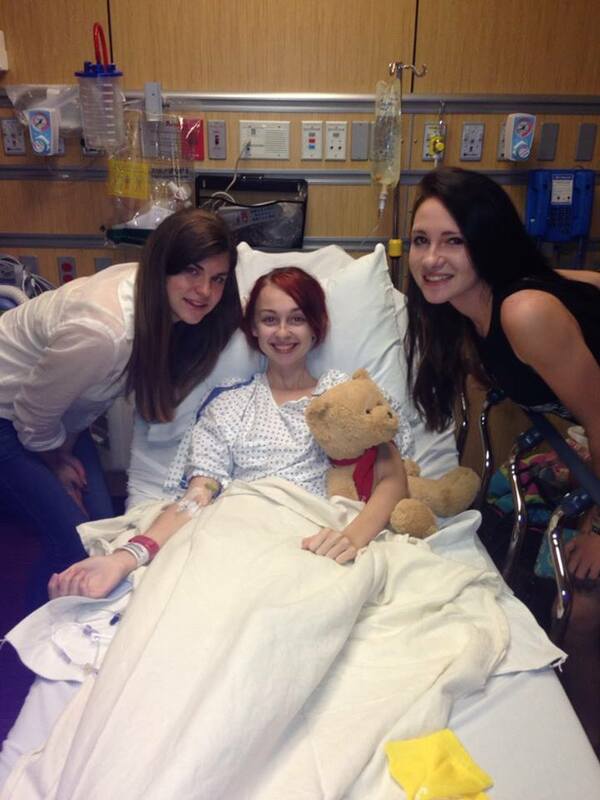 Update on Kaley – No More Bag ! I meant to post sooner and got busy with a bunch of things and helping her throughout the day but I know some of you are wanting to know how her surgery went…. Everything went GREAT ! She is doing fantastic and is only in a little pain. She is able to get out of bed easily and has already been able to eat some macaroni and cheese, saltines and OJ (not all at the same time.. that sounds gross LOL) We are supposed to be able to leave tomorrow even. She has just been so happy. 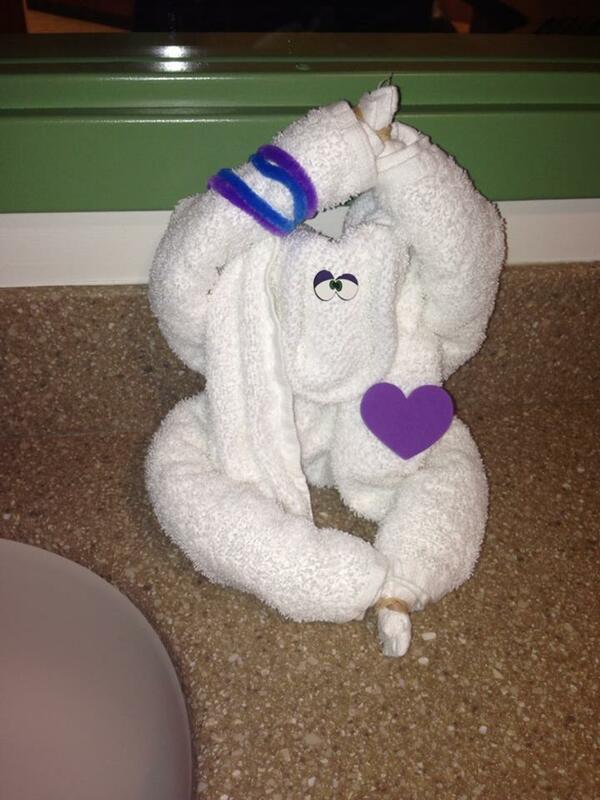 I just had to share this pic… When we got to our room, they had a little towel monkey on the counter and we felt like we were on a cruise again (well a real cruise will come soon enough now that she is finished with all her surgeries WHOO HOO). Praise God, so glad to hear that she is doing great. We continue to pray for her and the rest of your family. I am so happy to hear that she is doing well. I’ve been praying for her for two days! Im very happy for you guys!!! FINALLY!!! God bless you and your family its time for good things now!!!! I know that this has been an ordeal for all of you, and I am so glad that she is on the road to recovery. Thanks for all you do! God bless! Glad to hear that she is doing well. She looks to be in great spirits. That’s great news. GOD IS GREAT!!! How brave you both are. She looks better already. I’m thrilled for your family. So glad everything went well and that she is doing well. God bless, take care all of you. Such great news, very happy for you guys! pain. We are very happy for you, and thankful. Best post ever! So happy to read that all went well and your daughter is going home soon! You’re one strong mom, Amy!